I always thought that being a vegetarian takes much efforts and planning to have a balanced food and fit our lifestyle. 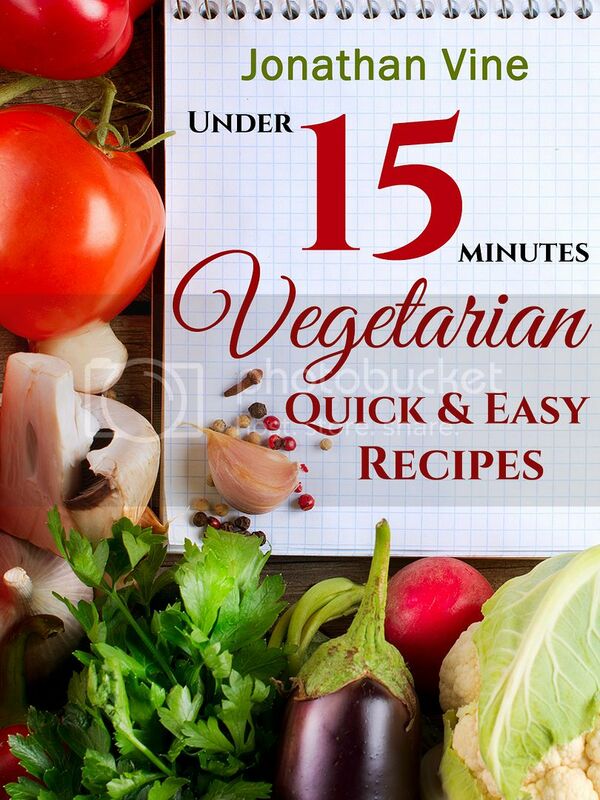 I never realized that it can be fast and easy when had a chance to take a look at Vegetarian Quick & Easy - Under 15 Minutes by Jonathan Vine and Tali Carmi. While there are lot of vegetarian books on the market I like how easy the authors can take you on the vegetarian journey without difficult terms. The 15 minutes preparation time is impressive and very helpful for busy family like ours. The book introduces 100 simple recipes with ingredients can be easily found in any North American grocery stores. I like the sections where included the recipes for Busy Moms and Even Kids Can Make because they are the best fit for every day meal preparation. We love Tomato and Avocado Sandwich and Quick Burritos, and our kid likes Marshmallow Pops and Egg Cups. For any special occasion like holidays, parties, romantic dinner or unexpected guests the book offers a nice selection of recipes, fun and easy to prepare. From soups to desserts recipes make your meal time a little fest for everyone. From other point I feel that we have fresh and healthy meal since we do not keep our fruits and veggies for long time. If you like to learn more about this book, you can easily find it on Amazon.com and Amazon.ca. Wishing you delicious discoveries!